Rarely is the gaming world so suddenly graced with a game of such awesome magnitude. Xenogears embodies everything that is good about an RPG experience: An ecclectic and moving soundtrack, a revolutionary battle system, and an out of this world storyline. Above everything else, what really shines out in Xenogears is the amazing storyline. 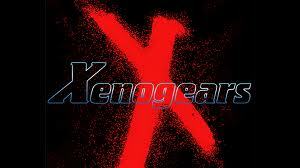 Although there are humorous moments, Xenogears' story is serious and controversial. So controversial in fact, that it was denied release in the United States. Because of religious overtones and the nature of the game's final boss, it was considered too heavy for American gamers. Thankfully, Squaresoft realized that it would be a crime to deny this game's experience to any living man, woman, or child, and approved release. Xenogears' storyline constantly urges us to question our origins, to stand against tyranny, and to examine our very existance. This, coupled with the best soundtrack ever assembled, and amazing character graphics, makes Xenogears as close to perfection as I've ever seen.